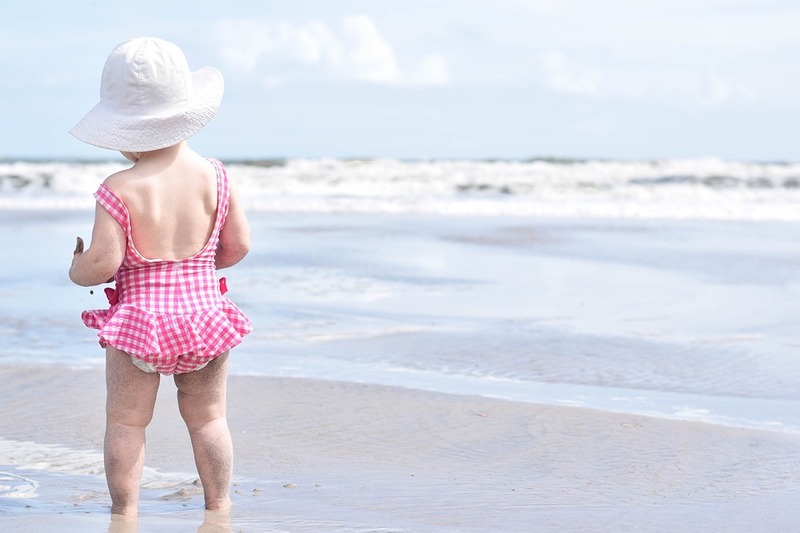 Whether you’re heading abroad for the summer holidays or opting for a sunny staycation in the UK, with a little one in tow for what may be the first time, when it comes to knowing what to pack for your little one, WHERE DO YOU START? Muslins, check, nappies, check, baby bath.. wait, how am I going to carry a baby bath in my hand luggage? Are we right that there is no worse feeling than the one that you’ve forgotten something? Unless it’s the passports or your money, forgetting something as an adult isn’t usually too catastrophic as you can usually buy whatever you may need abroad. When it comes to the little ones you don’t want to take any risks as things like medication and formula may not be the same when you are abroad. To help kick that pre holiday packing stress we’ve put together a little essential list of what to bring on holiday for your baby. Passport – even babies need a passport! Nappies, Nappy Bags & Nappy Wipes – Bring as much as you can carry for emergencies, but don’t forget you’ll be able to pick essentials like this up on holiday too. Pushchair – a smaller, foldable pushchair will be easier for travelling or if it’s a really tiny baby a sling would be even better, they’re perfect for sightseeing as well, but keep an eye on the heat as it will become too warm for them and for you. Travel Cot – Check with the hotel beforehand if they supply one (as many do these upon request) as this will save carrying one. Car Seat – Don’t forget a car seat if you’re going to be hiring a car or travelling anywhere by road. If you’re just getting transfers from the airport, contact them in advance to see if one can be arranged for you. Don’t worry if they don’t though, a car seat can be held in the hold completely free of charge. Baby Food – cold baby food, snacks, formula and if you’re breast feeding then just bring along a breast pump if you’re out and about for large amounts of time in the day. Bibs – preferably wipeable bibs as this will save you from bringing a bib for every day of the holiday + more. Non-spill cup – perfect for travelling and little hands to hold. Baby cutlery – carry with you everywhere, it’s much easier and gentler for babies than metal cutlery. Teething necklace – you never know when teething will strike and when it does, you’ll know about it! Cool clothing – during the day you’ll probably find that your baby is in a nappy most of the time, but for evenings out and when the temperature dips pack plenty of cool clothing like vests and shorts. Toys and books – opt for lightweight toys and plenty of bits to keep their little hands and minds occupied on your travels. BabyDam – the only portable baby bath that lies flat in an overnight bag, it’s lightweight and travels easily! It will make that transition from a baby bath to a family bath on holiday an easy one. Baby wash and moisturiser – you’ll be able to pick these up when you’re away, but it’s always worthwhile decanting a bit into spare bottles so you have enough for the first couple of days. Hand sanitiser and wet wipes – exploring new environments can bring a new range of germs and viruses to light for a new baby so keep yours and your babies hands clean with plenty of wipes and hand sanitiser to hand, it’s an absolute essential! So there we have it, our packing essentials list for a baby – not much, huh! It goes without saying that a staycation with the current weather seems like the best option and you have the pleasure of just being able to easily pick up the essentials when you’re there! Happy holidays! Have we missed anything else that you think should be an essential? Do let us know over on social media! Keep up to date with the latest news and competitions from BabyDam over on our Facebook page or Twitter!